Happy Thanksgiving to all my Canadian people. We have enjoyed one feast with extended family here in Oliver and will be returning home to Vancouver tomorrow for another feast with our sons and the babies. I'm struggling to read novels with my eyes these days. I'm thankful that audiobooks still work for me and I adore a good picture book. I just can't seem to stay focused with my eyes. It's unfathomable that I have been working on the same novel for over two weeks ! There is a pile of books that I have to return to the library because I can't get to them. Perhaps this is because I've just been very busy. I've been away every weekend for the last month or so. We are in our Okanagan house this weekend and I thought I would get some reading in, but instead I've been cooking and cleaning. I'm also finishing up a knitting project, trying to complete two quilt tops as well as babysitting my little grandbabies about 4 times a week. I love them to bits, but they are exhausting. Here is me with both of them when they are around 100 days old. Everett was pretty focused on the baby faces in this one. 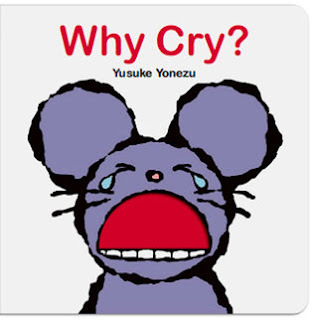 It might resonate humorously with adults who are dealing with a crying baby and can't figure out what it wants. Having breastfed my own children much longer than most people thought was reasonable, I laughed out loud at the two page spread of breasts. This is supposed to be an interactive touch and feel book, but it wasn't very tactile. We did like the bright bold pictures though. Most of these vehicles are way beyond the ken of my grandbabies, but they do have experience with the stroller. There are lots of crying animals with wide open mouths that you can put your fingers into. In theory it will cheer up a crying child. Thankfully my little person was happily sitting on my lap reading. Ada loved this one. I loved that these photographed faces represent the diverse world we live in. 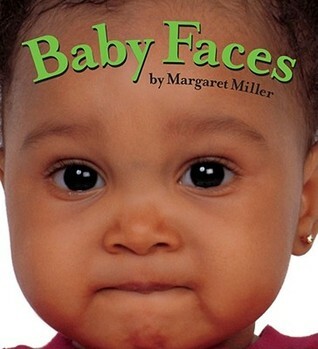 Each page has one word to describe the face the baby is making. This one has lots of potential for conversations about emotions. 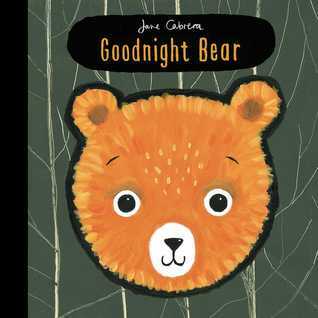 Each page in this book says goodnight to a different animal and end up saying goodnight to the moon. The illustrations are lovely but my little one wasn't as interested in this one as the one with faces. It's Duncan Tonatiuh, so you know the illustrations in this one are spectacular. 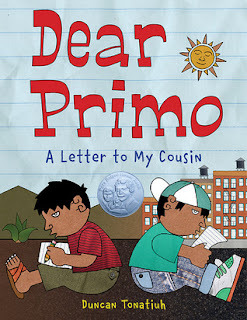 This book shows that while two cousins live in different countries, their lives are similar in many ways. I appreciate the illustrated Spanish vocabulary throughout the book. This book resonated for me since I'm lucky to have a few cousin's who are some of the most important people in my life. I'm conflicted by this book. I love Scott Campbell's water colour illustrations. On one hand it's a kind of humorous story of an ox who thinks he is in love with a creature he has never met. On another, it's a creepy story about a stalker who doesn't know how to take no for an answer. This book made me all weepy. 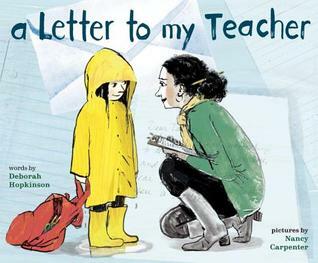 It's the story of an exasperating grade two student and how her teacher changed the trajectory of her life. As a teacher I've had one or two children like this and they are the ones I wonder and worry about most. 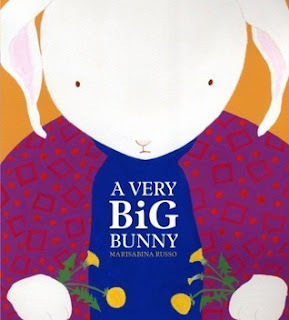 A very big bunny is ostracized because of her size. She remains friendless until a very small bunny comes to her school. This book is about acceptance and friendship. It shows how friendships with people very different from ourselves helps us to become the best we can be. This is a fabulous story about a boy who is addicted to reading. His school and parents set up a plan whereby he can't read during school time. At after school care he sets up The Losers Club for students like him who just want to sit around and read. It ends up being more successful than he anticipated. I adore all the literature mentioned in this book. The story ends up being a celebration of reading and readers. While there is a certain amount of bullying going on, I appreciate that in the end there are no real nasty characters. Just wow! This book was pure joy to listen to. The different voices help to keep the different narratives separate. Alan Gratz tells stories, set in different times and countries, of three different refugee families. By the end, when he reveals how the three families are connected, he shows the rest of us that we are all connected to each other. I'm still reading When Dimple Met Rishi by Sandhya Menon. I will finish it tomorrow on our way home or die trying! I'm listening to You Don't Have to Say You Love Me written and read by Sherman Alexie. I'll start She Persisted and then go on to Spirit Hunters by Ellen Oh. My next audiobook will be They Both Die at the End by Adam Silvera. I definitely need to read A Letter to My Teacher ahd A Very Big Bunny. 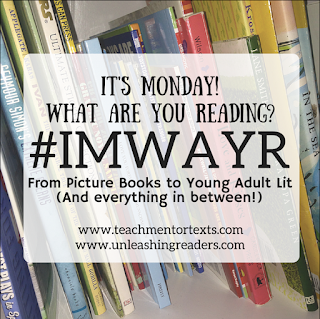 Thank you for the recommendation for .#classroombookaday! Both of those are delightful reads. They are all fabulous reads, but I think I'm having trouble with Dimple because it's teenage romance and angst. Thankfully there is more than that to this book. 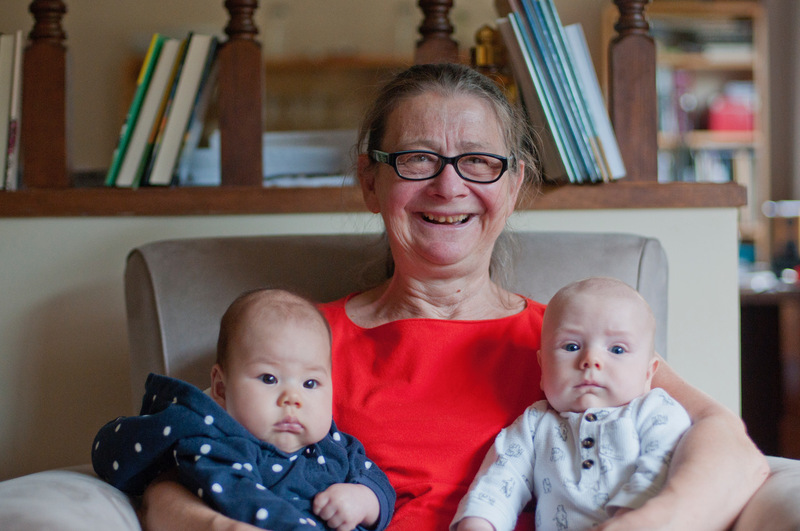 What an awesome picture of you and your grandbabies! I felt XO, OX was more creepy than funny. Loved both novels you shared. I get that creepy bit with XO, OX. I found the first bit when the Ox just didn't understand the first couple of responses were form letters funny. It's as the interactions continue and the Ox doesn't take no for an answer that It became nasty. The babies are getting so big! I used to read Baby Faces to my kids when they were that size. Now they are both taller than me so I have their baby faces in my memory. I will have to check out A Letter to My Teacher. Loser's Club and Refugee were two of my summer favorites. Glad you enjoyed them. They sure are fabulous reads. I have always respected Andrew Clements as an author, but Alan Gratz has become someone I will just go to when he has a new book out. I agree with you about these babies. The Losers Club is wonderful. I know someone with a new baby, will share the books with her, Cheriee. They look very cute! And it seems like you have done a lot of reading. I still need to read Dear Primo & know it will be good. I hope Refugee receives some rewards this year. It is very good! Happy Thanksgiving! I realize that I have a lot of books here, it's just that I can't seem to make real progress on the Dimple book. Did you read Refugee or listen to it? The audio is just spectacular! 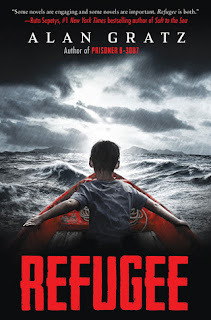 I've heard a lot of awesome things about Refugee; I'll have to check it out. Have a nice week! You too Jana. Don't miss Refugee! Can't wait to read Refugee. I just ordered it. Oh those babies!!! I am with you on the creepy stalker feel to xo, ox A Love Story. Wasn't a fan. Now that I am babysitting I will try to figure out how to drop in to visit you with one of them. 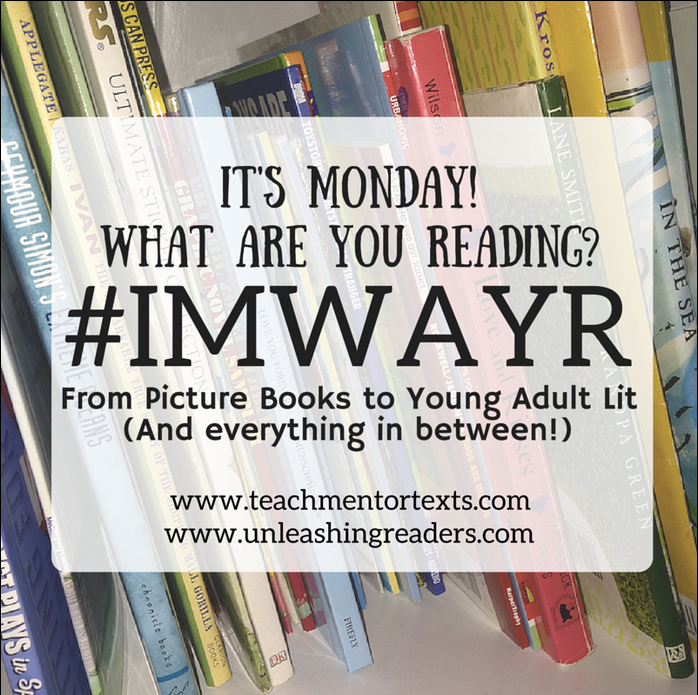 Great reading this week! Cute board books! Goodnight Bear has been a favorite of my younger daughter (who just turned 2) for several months now. We also love its companion, Hello Lamb. 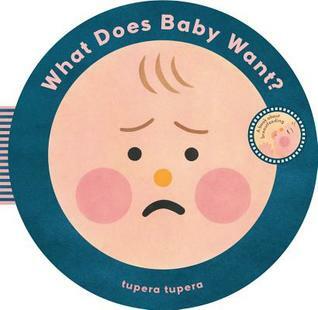 And Baby Faces is the book I always recommend to new moms who are looking for great board books - babies just love it! Baby Faces is the book that has taught me what kinds of books my grandkids like most. Now I know what to go looking for! Oh those grand babies! They are really starting to look like distinct babies! 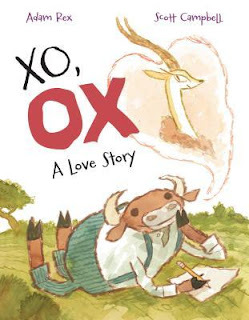 You are right about XO, OX, but I just choose to enjoy it as a very silly book. It made me laugh anyway! Losers Club and Refugee were both summer favorites. XO, OX was hilarious for the first while. It wasn't til later on that it distressed me. Isn't the Refugee audiobook phenomenal? I loved it! 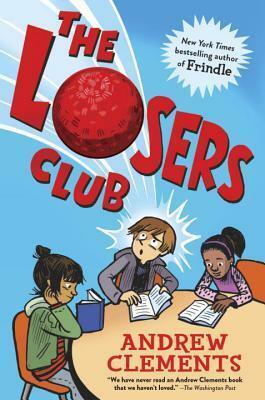 And I hope to read Loser's Club soon. And those babies are just too much!!!!! Yes! Yes! Yes to Refugee. The audiobook was just stunning. Isn't it a joy to read books with the young ones? I agree with XO OX. It sat funny with me. I'm not a fan. It really is. I love to see what piques their interest and what is Ho him. Faces are definitely a hit for them at this age. Those board books are great - perfect for your grandchildren. 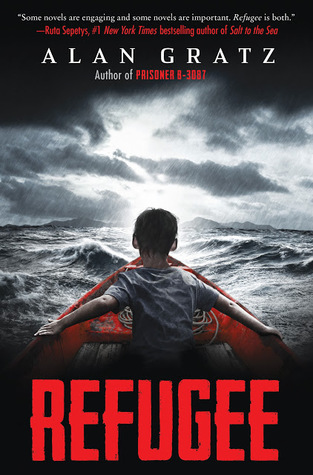 I've been meaning to get my hands on Refugees by Alan Gratz - perfect for our upcoming reading theme. I keep repeating myself, but honestly try the audiobook. I couldn't stop listening! I love all of the baby books! 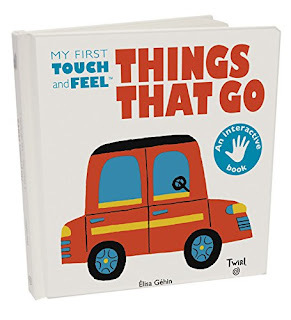 My younger son is just getting into board books, and we don't own any of these! I am going to head to the library to get them! To be honest, these little ones are not always really keen on books either, but if I get them in the right mood, we are all happy reading and snuggling. Baby Faces, in its increasingly battered and chewed-up state, was my babies' single favorite book. It's fantastic!